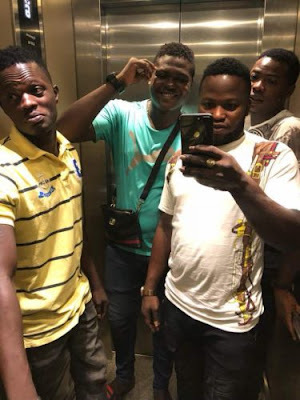 An obviously heartbroken man has taken to Facebook to narrate how soldiers attached to the Trans Amusement Park, in Ibadan, the Oyo State government killed histwin brother after a scuffle. The Oyo State government has however ordered the indefinite closure of Pete’s Bar & Lounge, located within the park and where the sad incident was reported to have occurred. The state Executive Secretary, Bureau of Investment Promotion and Public-Private Partnerships, Mr Yinka Fatoki, issued the directive. 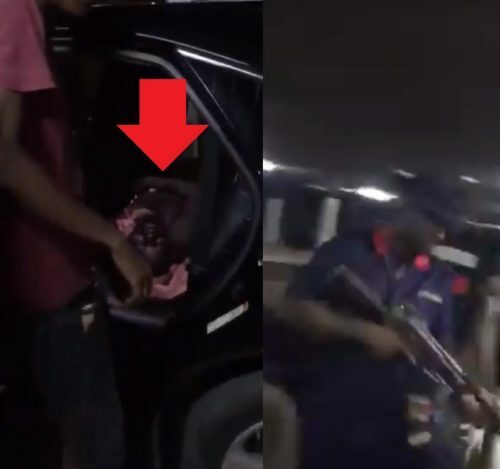 According to the man identified as Adeleke Taiwo, the owner of the bar, grabbed a gun from one of the soldiers and shot his brother in the neck just because he challenged them for beating his younger brother. When will the federal government and the house make laws that will restrict the Military and uniform men from carrying ammunition at civil gatherings. When will our law enforcement agencies stop killing those they are meant to protect? On Monday 26th of February at exactly 6:45pm, myself( Adeleke Taiwo) Kehinde and some if our friends got to trans to chill after the day’s work. That is how we have been going there since 2016 without causing any trouble in the vicinity. Before now, we have always been seeing men if the operation Burst with Seyi (Fathers Luski) the owner of the Bar. They drink, chat and smoke together on a daily basis. He always use them as a tool of oppression over anyone who question him. 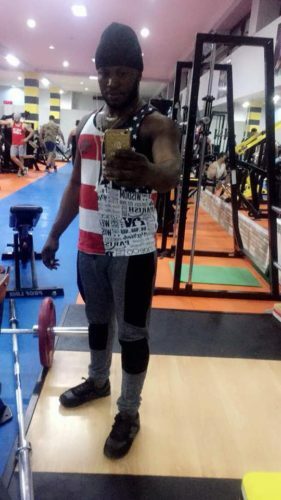 At exactly 7:20pm, Kehinde Adeleke, a young, intelligent and friendly young man who just clocked 30 years last month was shot with a gun of one of the men of the operation Burst constituted by the Abiola Ajimobi led government in Oyo state at the Trans Amusement Park around Agbowo UI Ibadan. It was gathered that, Kehinde who was killed by Father Luski and men of the operation burst sent his immediate younger brother Damola an errand to get him food. On Damola’s return, some guys were arguing with him for parking space and all of a sudden the guy slapped Damola Adeleke. Someone went to call Kehinde Adeleke that his younger brother Damola is being beaten up by some guys. 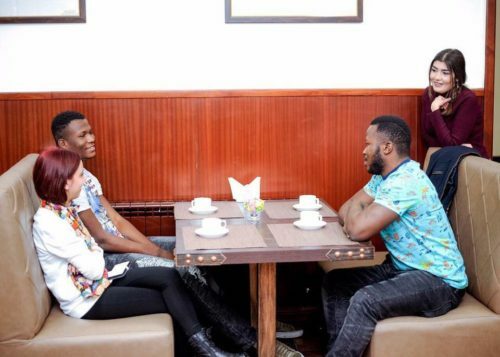 On getting there, Kehinde was trying to inquire what transpired between the duo. 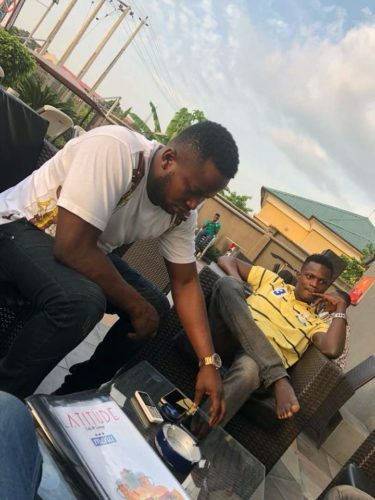 However, during the conversation, Seyi( Father Luski) the owner of the bar appeared with some men of the Operation Burst who even without any question from those involved in an argument asked father Luski what was wrong then father Luski pointed to Damola Adeleke as the trouble maker. Immediately he said that, one of the men of the operation Burst smashed a big stick on Damola’s head who fainted immediately. People rushed to get water and pour it on him. As that was going on, Kehinde was telling Father Luski that he has not done well that he supposed to settle this and not put blame on one person. The argument went on for almost 5minutes before Father Luski became angry and collected riffle hanged on the shoulder from one of his friends (Men of the Operation Burst) then shot Kehinde in the neck which I was there with the owner of the Bar (seyi AKA father luski ), I was the one hold and dragged the owner of the bar (seyi) in to my car that he had killed my twin brother which he could not escaped.When people heard the gun shot, everywhere was scattered . The operation burst now started spraying gun shots around the premises. The remaining men of the operation burst ran away but when they got to know that The second in command and the owner of the bar that shot kehinde Adeleke which is called Father Luski has been apprehended by Kehinde’s brothers and friends, the operation burst locked the Trans gate and prevented them from taking Kehinde to the hospital for over 30min. Tope was the one driving the car where Kehinde was kept. Some men of the operation burst pointed gun to his head that he should open the door for The apprehended culprit to escape. Immediately when we left there, we took Kehinde Adeleke to UCH, he was rejected, we immediately took him to Eleyele police Hospital at the police headquarters, the Doctors there said he was still alive but they don’t have necessary tools to carry out any surgery on him that we should take him to Molly Hospital at IDI APE. When we discovered that these hospitals are not attending to us, we called our friend and Brother, Babatunde Badmus who then help us took him to Molly Hospital from Eleyele. On getting to Molly hospital, we were told by the doctor who attended to us that they couldn’t feel any pulse again. Then we went to UCH to reaffirm that. On getting to UCH, we saw three patrol vans of operation burst fully loaded with men and ammunition. They blocked the normal entrance then we took the exit so that we can get to the emergency ward. While we were going to Molly hospital, two of our friends who could not follow the car we were carrying took bike and waited for us at the emergency gate of UCH. It was later realized that men of the operation burst arrested these two guys, tortured them and asked them to call us to come out that they want to arrest all of us. ( Those guys were not handed over to the police for questioning but we’re brutally tortured overnight by the operation burst in their office around NTA IBADAN. They failed to arrest us because of our number and our peaceful resistance coordinated by Babatunde Badmus who helped us to drive him to all the hospitals. Immediately when we entered the emergency, the colonel in charge of the Operation Burst commanded his men to take positions as if they want to wage war against us. They started corking their guns and pointing it at us. Then Babatunde Badmus went to meet the leader of the team and have a discussion with him on why should his men bring ammunition to the hospital where civilians are being treated? But he had no tangible answer. At the end, we had some videos of the Operation Burst fully armed inside the hospital and how they were ready to kill more people. We all went there without any ammunition. We were only sad because our brother was killed yet, we were being victimized by the law enforcement agencies.